If you’re not a fan of chocolate in a big way, you might want to go find some of my other recipes today. 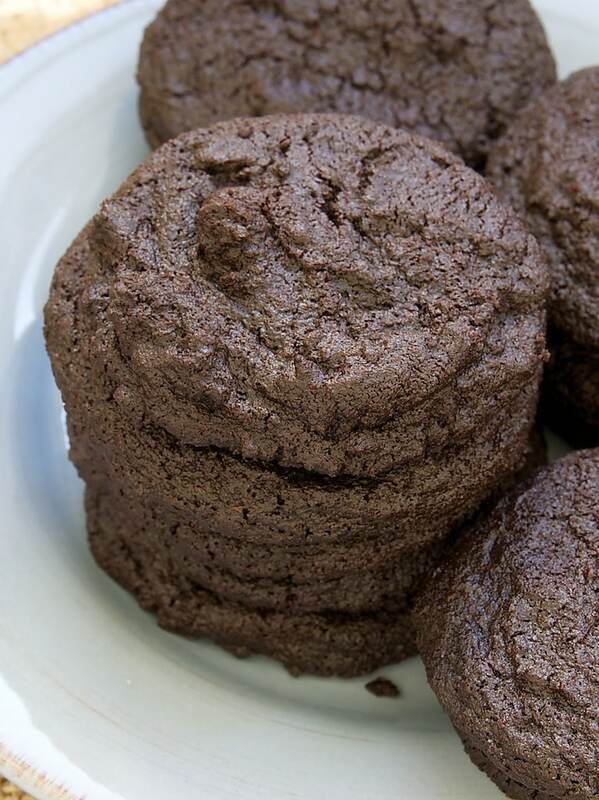 But, if you are a fan of all things chocolate, I may have found your new favorite cookie. 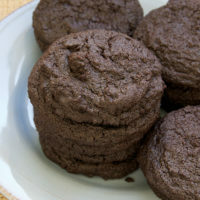 These amazingly chocolate cookies come to us from the incredible Momofuku Milk Bar and their cookbook. I’ve had the book for a while, but I just recently pulled it back off my bookshelf and became engrossed. 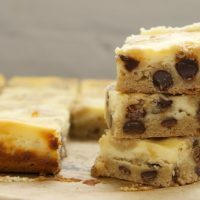 Christina Tosi, the brains behind Milk Bar, refers to these cookies as an ode to fudgy brownies. To me, they are much richer than any brownie I’ve ever had. Seriously, this is a lot of chocolate. And, even better, they qualify as sweet & salty as well. This recipe is a good two-day recipe. It’s not difficult, but there are two distinct stages of preparation that are best tackled on separate days. Worth every second. Scroll past the recipe for details about a Momofuku giveaway. Preheat oven to 300°. Line a baking pan with parchment paper or a silicone liner. Using an electric mixer on low speed, mix flour, cornstarch, sugar, cocoa powder, and salt. Add melted butter and continue mixing until the mixture starts to form small clumps. Spread crumbs on prepared pan, breaking them up if necessary. Bake for 20 minutes. Crumbs will be slightly moist to the touch but will dry and harden as they cool. Cool completely before using. Store in an airtight container for 1 week or refrigerate for 1 month. Using an electric mixer on medium speed, beat butter, sugar, and corn syrup until combined. Add egg, vanilla, and melted chocolate, and beat until thoroughly combined. Reduce mixer speed to low. Gradually add flour mixture, mixing just until combined. Add chocolate crumbs and mix just until combined. Scoop dough by 3 tablespoons (a cookie scoop works great) onto a parchment-lined pan. Slightly flatten each cookie. Wrap the pan in plastic wrap. Refrigerate for at least 1 hour (or up to 1 week). Place dough about 3 inches apart on baking sheets lined with parchment paper or silicone liners. Bake for 18 minutes. If cookies are still doughy in the center, bake for 1 more minute. Do not overbake. Cool cookies completely on pans. *Most of Momofuku’s recipes use bread flour. I used an equivalent amount of all-purpose flour as was pleased with the results. 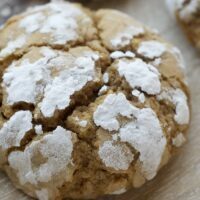 **Use the good stuff for these cookies. Try Valrhona or Guittard. Recipe adapted from Momofuku Milk Bar. Even though I live in New York, I’ve only visited Milk Bar once. However, recently I was given the chance to sample another of their cookies through American Express’ “Make My Day” program. This program rewards AmEx followers with experiences that, you guessed it, make their day. Christina Tosi is part of that program due to her own AmEx experiences. 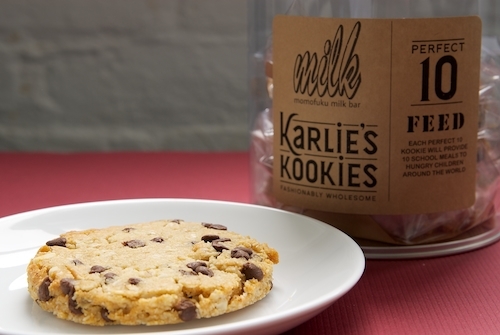 She and her friend, supermodel Karlie Kloss, worked together to create a healthy and delicious cookie called the Perfect 10 Kookie. 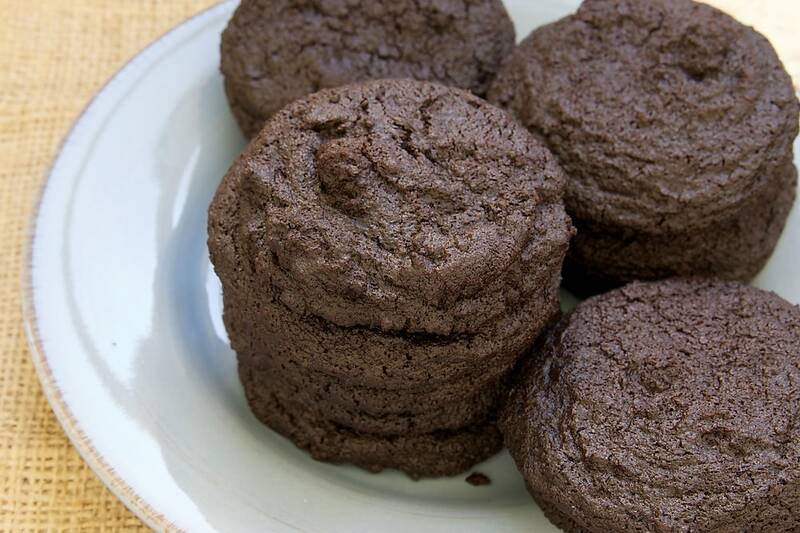 These cookies are gluten-free, dairy-free, and sweetened with agave. Admittedly, I don’t routinely seek out gluten-free baked goods, but these are especially good. 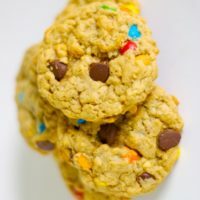 The cookies are being sold at Momofuku Milk Bar in Manhattan and are also available on their website. What makes these even better is that 30% of the proceeds go to FEED, an organization that provides school meals to children around the world through the United National World School Feeding program. Each cookie that’s sold provides 10 school meals to hungry children around the world. So, as part of American Express’ “Make My Day” program, AmEx and Momofuku are giving 10 (TEN!!!) Bake or Break readers their very own package of these cookies. Each tin contains 6 big cookies. Trust me, you’re going to want to try these. If you’d like to make these yourself, here’s the recipe. Please see the details for entering below. Good luck! 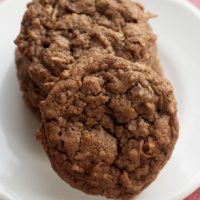 I love rich and chocolatey, so these cookies sound like a winner to me! Sometimes these 2 day recipes are the best! I made these last week. Totally worth the effort. I couldn’t resist adding some chocolate chips to the batter before baking, though. They were fabulous! Loved the salty taste. 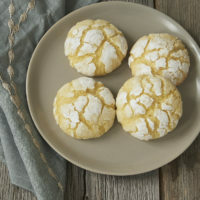 Pinned these cookies and can’t wait to have time to make them!!!! Sorry, Liz. They require a US shipping address. 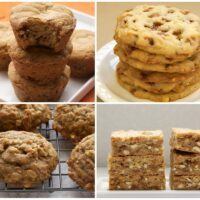 These cookies sound and look delicious! I will be trying them next week. Thanks for offering the giveaway. Everything I’ve made from thr milk bar cookbook has been a hit. Usually a little bit of work, worth the effort. Chocolate on chocolate … the optimal way to do any kind of baking IMO. 🙂 Wow. Totally added this recipe to my scrapbook. All those photos are missing is an entire jug of ice cold milk. A homemade fruit and nut granola bar – I think I’ll make some now. sounds delicious!! Looks sooooo good!